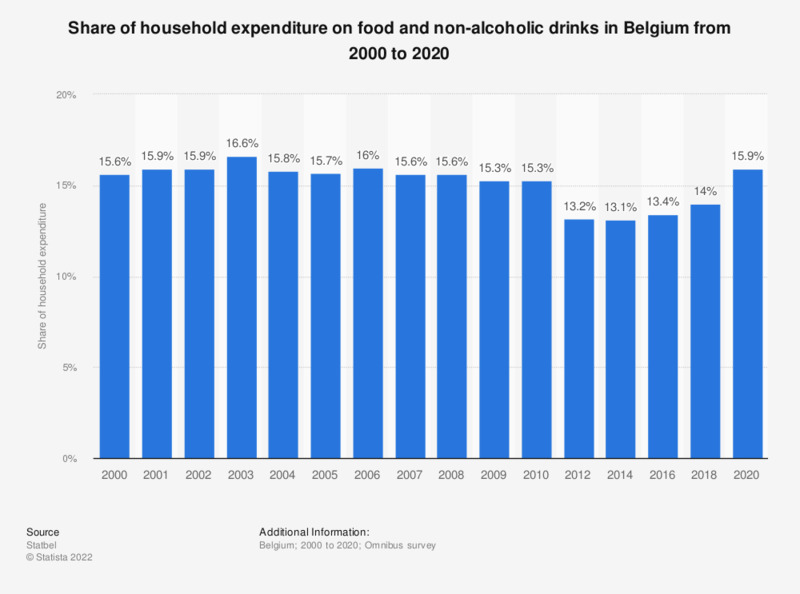 This statistic displays the share of household expenditure on food and non-alcoholic drinks in Belgium from 2000 to 2016. In 2010, Belgian households spent 15.3 percent of their household budget on food and non-alcoholic drinks. By 2016, this had decreased to 13.4 percent. The figures are derived from the EU-HBS survey ( European Union - Household Survey). In 2012 some changes were made to the survey to improve the quality of the results. Questions were reduced to facilitate the process for the participating households. Furthermore, to be able to question more participants, the results are being published every 2 years since the changes made in 2012.